Brother is getting married soon so we had a trad style bach party down at our family spread to celebrate. Here are some pics. 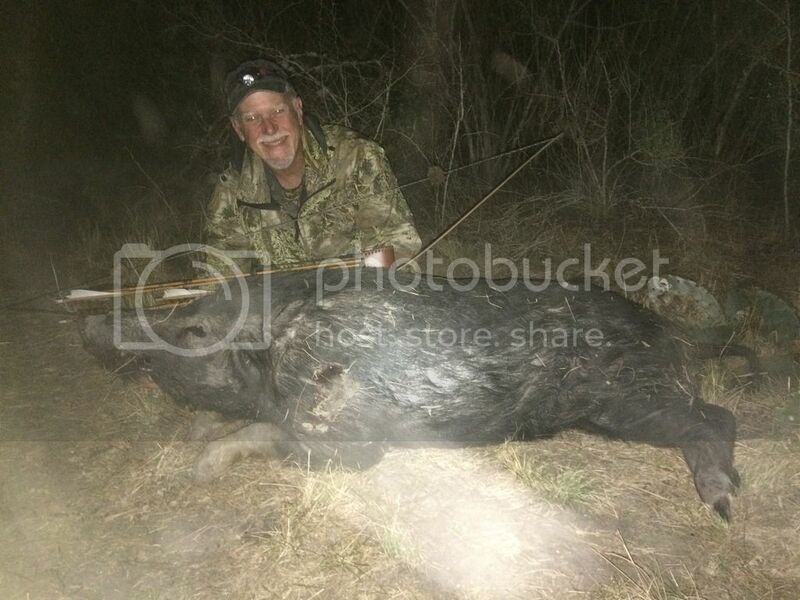 This is my father with a big boar that weighed in at a little over 150 dressed. I think my dad is 60 years old and he was crawling down a road in the middle of the night to get up close enough to this thing. 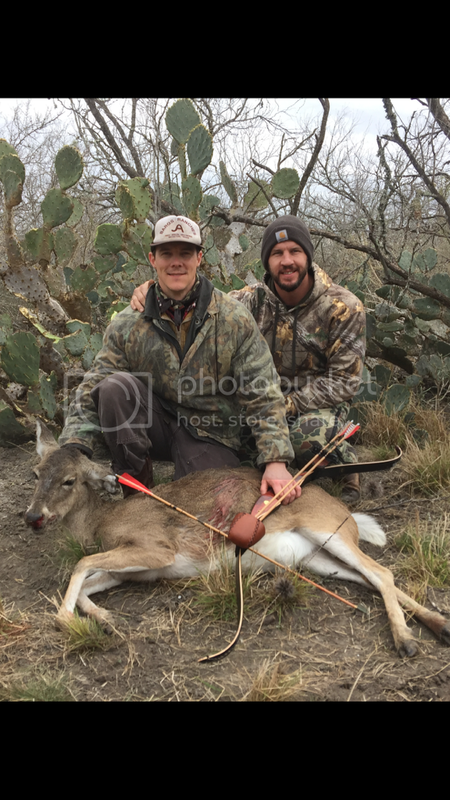 Only ran 30 yards. 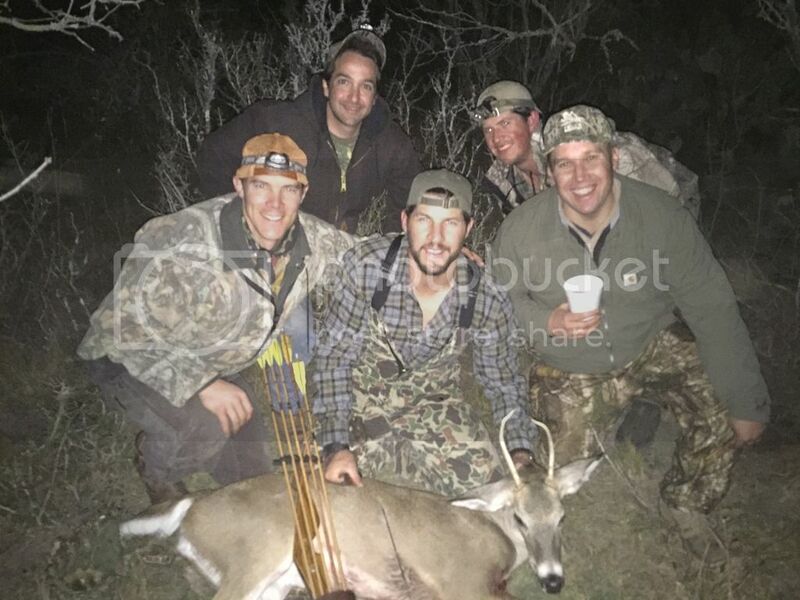 This is the bachelor with a spike he shot. This is the whole clan after the saturday morning hunt. The bunny was trad. Will admit we shot the ducks with shotguns. Was cowardly. Nice... Hellava bachelor party there my friend. Man, that looks like a great time! 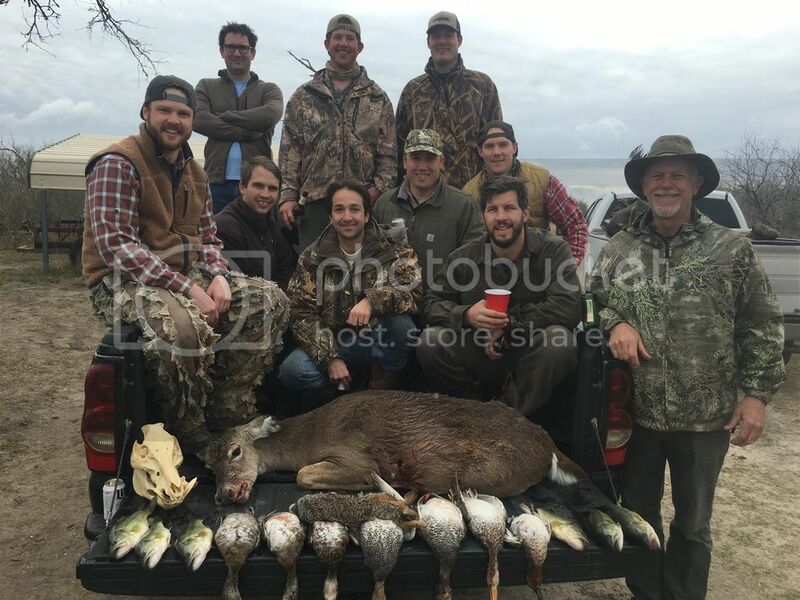 Congrats to all the hunters, and to your brother on his upcoming wedding! Couldn't think of a better bachelor party, congrats! Thats what I did last year for mine. Wasn't as lucky as you guys got skunked. Everybody else got something though. Looks like a really good time. Congrats to the soon to be Groom. It will be something to remember! Mine was similar being at a friends farm, but nothing in season at the time.